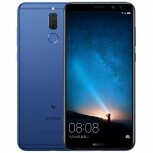 The Aurora Blue color option of the Huawei Mate 10 Lite was MIA at launch – only Streamer Gold and Obsidian Black were available. 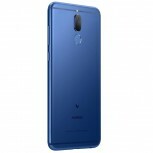 Now both Vmall and JD offer the blue one as well. 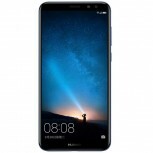 Note that the phone is known as “Maimang 6” in its home country, the “Mate 10 Lite” branding is for the West. Costing exactly the same – CNY 2,400 – as its black and gold siblings, the phone comes with 4GB of RAM and 64GB storage. It has a 5.9” LCD with an 18:9 aspect ratio (and 1080p+ resolution). 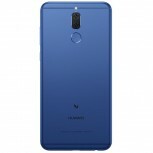 That said, you might want to hold out for the Honor V10 – that one also has an Aurora Blue color option, but is closer to the flagship Mate 10 than it is to the Lite. That means a Kirin 970 chipset (rather than 659), 4K video recording and a few other goodies. If you still prefer the Mate 10 Lite, the online stores are currently accepting pre-orders – sales begin in earnest on November 30. The Source links will lead you to the two stores.